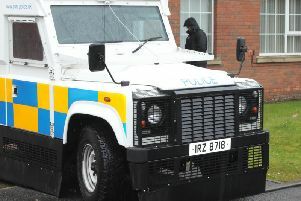 Two teenagers have been stabbed during what has been described as ‘a night of disturbances’ in the Ballyoran area of Portadown. Calling for information on the incident last night (Friday) police have pointed out that the injured pair are children. And a local councillor has warned that some parent could be visiting their child in the morgue if the incidents don’t stop. Police said the injured pair are 14 and 15 years of age. “There was a stabbing incident earlier this evening around the Bullring in Ballyoran at around 8pm,” said Craigavon PSNI on their Facebook page. “A 14 and a 15 year old received puncture wounds as a result. “Whilst the injuries are not life threatening, this is due to good fortune and not a reflection on the wreckless and mindless violence of the perpetrator. “This has got to stop. We’ve warned for weeks about the situation at the weekend and for parents to step up, we’re now at this point. “There is someone out there willing to inflict such injuries on a child, and they need to be held to account. “If you saw anything or know anything, call our detectives immediately on 101. The reference number is 1263 of 12/10/18. Councillor David Jones posted: “Parents please make sure your kids are with you and not out running the streets. “We all hope the injuries are not life threatening. “No parent wants to be visiting the Craigavon Hospital morgue to identify their child.